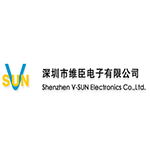 Shenzhen V-sun Electronics was founded in 1994 in Shenzhen. The company specializes in GPS, Bluetooth and automobile multimedia equipment manufacture. Shenzhen V-sun also offers solutions for vehicle multimedia, safety, tracking and navigation systems, workforce management, banking and logistics. Company deals with clients all over the world. The chart below shows the changes within the last 30 days in the number units of Shenzhen V-sun Electronics devices type are connected to Wialon Data Center.